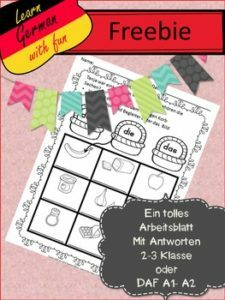 German Freebie- Let´s celebrate the new school year with five free German Worksheets! This week you get every day one great Worksheet with a German subject. Perfekt for DAF a1 and a2.